They’ve been here together for over two months. Eating our food. Sleeping in our home. Running roughshod laps through the halls. Tearing up my girls’ toys. Screaming at all hours of the day (and most nights). They aren’t official ours yet. They’re our foster sons, and the adoption process has begun. These brothers, who had never been together before they came into our home, have brought joy, laughter, excitement, and more love than we thought possible. They’ve also brought confusion, trepidation, and utter bewilderment. For fourteen years, I’ve raised girls. Three of them. I’ve become an expert on raising girls up to the teen years. Yes, I know there will be teen angst, drama, and meltdowns (which have already begun). But raising boys? I’ve never done it. It’s been over thirty years since I’ve been a little boy. 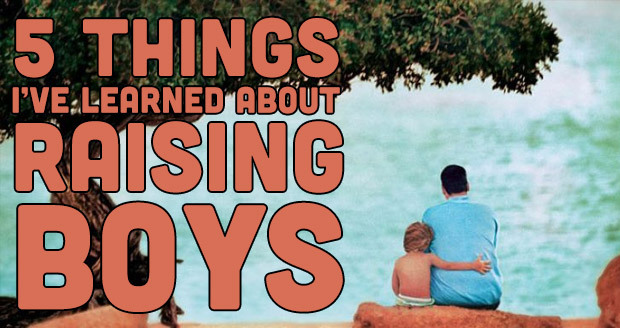 I’ve forgotten much about what little boys do. I have to admit: I have absolutely no clue what I’m doing. I have, however, learned a few things since these boys became a part of our family. 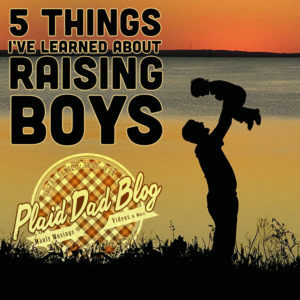 Raising boys isn’t easier. Girls are relatively easy to raise. Barbies. Tea parties. Sleepovers. Drama. Warning them about stinky boys. Those stinky boys, however, are a completely different animal. 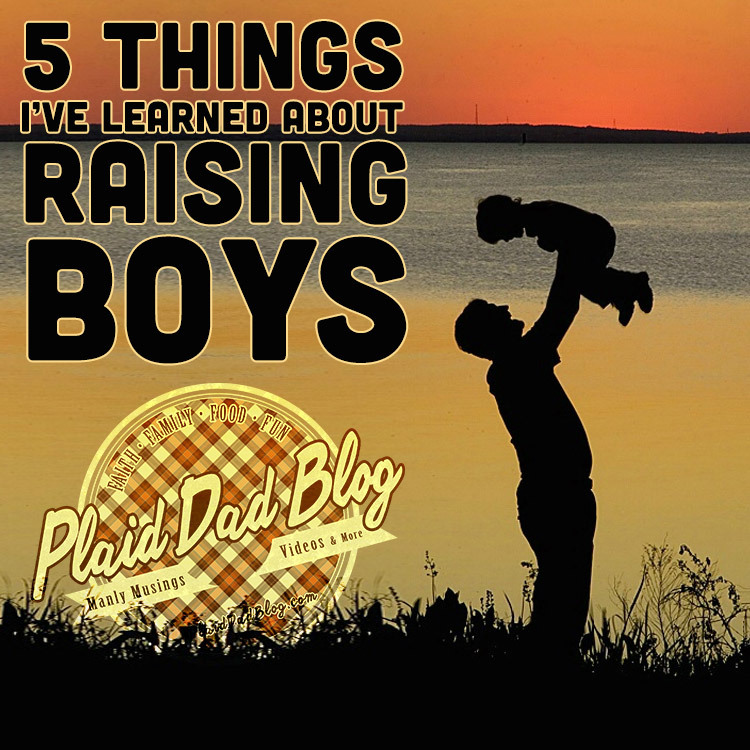 I’ve had several parents of boys tell me how easy it is to raise boys. I’m not sure what kind of boys they’re raising, but they aren’t these boys. Or hundreds of other boys I’ve seen. Boys are stubborn. Loud. Rambunctious. My girls have a little bit of stubbornness, and one is loud, but none are all of these things. Maybe it’ll get easier as they get older. That, or I can accept reality and start drinking now. At the present, my girls are a cinch compared to raising these boys. Yes, part of the experience is that they aren’t our biological children. But not everything can be traced to foster/adoption trauma. Much of this is the simple fact that they are boys. Boys like food. A lot. Now this I understand. I like to eat. But these boys love to eat. If given the opportunity, they would eat constantly until their little bellies popped. And then they’d eat some more. When these boys hit the teen years, I may have to get another job or twelve just to feed them. Boys are loud. Like, standing a foot away from a jet engine loud. Like, AC/DC needs a new singer because Brian Johnson may go deaf loud. They shriek. They scream. They holler. They don’t have inside and outside voices–just eardrum-splitting loud. And when they start crying, wow. I may have to call the good folks at Guiness to confirm a new world record for loudest sound ever recorded. Boys wreck shop. We’ve only had a few things broken since they arrived, but it’s like they’re programmed to destroy. Once the baby learns how to walk (which we’re only a week or two away from that nightmare becoming a reality), we may just move into a tent in the yard and set the house on fire. It would be easier than cleaning up everyday. They’re constantly hitting and swatting at their sisters, who don’t yet know how to handle all this boy energy. I may have to start a Fight Club just to wear them down before bedtime. Sundown means it’s bed party time. Not every parent has to go through this, but these boys don’t like to sleep at night. I swear, I think these boys jibber jabber in their secret brother talk and determine who is taking what shift to annoy us during the night. A big part of this is adjusting. New family, new house, new routine. Part of it, however, is that they’re just jerks. Baby waking up twice at night because apparently that’s when you drink meals four and five. The oldest one wakes up and screams like someone is murdering him. It isn’t because he’s scared. It’s because he’s not used to calling out for Daddy. Some nights, he sleeps through the night. But most nights he’s waking up two or three times, and I have to go peek my head in the door and tell him it’s alright and that he needs to go back to sleep. At this point, I’m convinced I won’t get six (much less seven or eight) straight hours of sleep until I’m dead. Raising boys has been an adventure so far, and I’m only a few months into it. I know things will get better, and I’ll figure more things out as I go. As crazy as it gets at times, I wouldn’t trade it for anything. I can’t wait to teach them how to pee in the yard. Happy TWOsday! My son turned 2 today and I sing him a song.